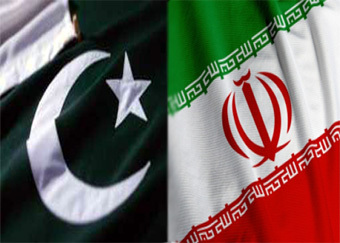 Haq's Musings: Iran-Pakistan Ties: Friends or Foes? It is commonly accepted that Iran and Pakistan remained the best of friends until the fall of the Shah. Beginning in 1979, the relations between the two neighbors worsened with Imam Khomeni's Islamic Revolution in Iran and General Zia ul Haq's Islamization in Pakistan. In a book titled "Iran and Pakistan: Security, Diplomacy and American Influence", the Iranian-born American author Alex Vatanka challenges the notion that the rise of sectarianism strained Iran-Pakistan ties. He argues that the relations began to deteriorate earlier in the decade of 1970s when Shah Mohammad Reza Shah Pehlavi, acting on behalf of the United States, tried to pressure Prime Minister Zulfikar Ali Bhutto to abandon Pakistan's nascent nuclear program. Iran was the first country to recognized Pakistan right after the country's independence in 1947. Unlike Afghanistan that opposed Pakistan's admission to the United Nations, Iran enthusiastically supported it. Iran also helped mediate running disputes between Afghanistan and Pakistan. The relations between the two neighbors grew even closer as both joined the 1955 Baghdad Pact for common defense that was signed by Iran, Iraq, Pakistan, Turkey and the United Kingdom. It was renamed CENTO (Central Asia Treaty Organization) after the 1958 coup in Iraq that deposed the pro-West King Faisal of Iraq. Later, a regional cooperation for development (RCD) agreement was signed that included Iran, Pakistan and Turkey, all US allies at the time in 1970s. Pakistan's loss to India in 1971 East Pakistan war caused both the Shah and Bhutto to reassess bilateral ties. The Shah felt Pakistan had been permanently weakened by the 1971 war with India. It encouraged the Shah's ambition of becoming the regional hegemon in West Asia and the Gulf region. While the Shah saw an opportunity to assert Iranian leadership after the events of 1971, Zulfikar Ali Bhutto sought to rebuild Pakistan's strength and to reclaim its status as a powerful nation in the region. Part of Bhutto's plan included building an atom bomb, an effort that was vehemently opposed by the United States. The Shah echoed the American demands in private meetings with Pakistani leadership. "The fact that he (Zulfikar Ali Bhutto) was Shia had nothing to do with it. Bhutto is focused about India: Who can come to my aid, who can foot the bill for my nuclear program that I need to build up because I know that India is just about to get their hands on a nuclear weapon and I cannot lose that military competition on that front? There is no mention from the Saudis, the Emiratis, the Qataris—all of these famously Sunni nations—oh, we don't like Bhutto because he's Shia, you know? There's no sign of that. This sectarianism is something that unfortunately becomes much bigger of a player in the foreign relations of everybody in the last 15, 20 years because of a lot of other factors." The relations between Iran and Pakistan oscillate between claims of "brotherly" ties and border skirmishes along Balochistan-Sistan border. As recently as this week, Iranian President Rouhani said in a meeting with Pakistan Senate President Raza Rabbani that "the Islamic Republic regards Pakistan’s security as extension of its own". In the last decade, Pakistan’s ties with Gulf Arabs have been uneasy while its relationship with Iran hit an all-time low with regular border skirmishes. Regular diplomatic exchanges and friendly statements between Iran and Pakistan continue to attempt to reduce tensions while glossing over real difficulties between the military and intelligence services of the two countries. All's not well between Iran and Pakistan. The bilateral relations began to deteriorate in early 1970s when the Shah and Zulfikar Ali Bhutto were still in charge, well before the Iranian Islamic Revolution and Zia ul Haq's Islamization in Pakistan. Iranian-American scholar Alex Vatanka says the key issue at the time was the US-Iran joint opposition to Pakistan's nuclear program that forced Bhutto to turn to Gulf Arabs for help. The difficulties are not rooted in sectarian Shia-Sunni difference. There is a genuine desire and continuing efforts by diplomats on both sides to maintain a good working relationship. Did America Contribute to the Rise of ISIS? Shah imagined himself and Iran as 'The western policemen of the Middle East'; - that was the selling point to the West for the vast armament of Iran i.e, only he/Iran can stop/control the Arabs movements from the eastern end; and on the other end, of course, was Israel. Pak/Iran relations were not ideal in 70's as well; and Iran tried to dictate on many accounts. Iran was not happy with Islamic summit or Arab Unity. Iran saw it as a direct threat to Iranian interests. Shah vigorously opposed the formation of the left wing government of NAP in Baluchistan and made threats. The subsequent army action had much to do with that pressure from Iran. In the later end of the Balochi conflict, Bhutto, on few occasions, openly criticized Iran on that account. In any case, Shah and the Iranian historicism, in general, were infatuated with Cyrus the great. It is Deja Vu, once again. There is a good literature from the Iranian expatriate groups which lobbied US for attack on Iraq and worked for transforming Iran into to regional power or for to revive a mini-empire - as a long-term and reliable solution to the Arab land. Conversely, they argued pursuing this policy for mellowing down the Islamic character of the Iranian regime and only viable solution for regenerating relevance in the current Iranian political environment. Unfortunately, it appears, some sections in Iran have bought into and invested in this misguided concept. I like the summary; "All 's not well". Balochistan is the "Wild West" of both Pakistan & Iran. Neither side has been fully able to establish the State's writ over the large province they respectively claim sovereignty over. But blaming each other for this failure isn't going to get far other than downing of drones and lobbing mortars. The desire to maintain a "working relationship" is one of short-sighted-ness. Iran & Pakistan are bordering nations joined at the waist, their bilateral relations shouldn't be held hostage of those thousands of kilometers away. Iran offered better pricing on it's oil as compared to Saudi's deferment of payments. While KPK/Punjab/Sindh flash around MOUs of $Billions in Oil Refinery investments, Iran was willing to start and self finance projects. And the working relationships, refueling PAF jets/ providing jets & helicopters, offering discounted fuel for PIA. Pakistanis can throw a stone into Iran, but yet can't receive visa free entry to the Gulf States, as the recent Qatar easing has shown itself. In the hours before he was killed in an American drone strike, Mullah Akhtar Muhammad Mansour, then the Taliban leader, knew something was wrong. He was on his way home from a secret visit to Iran in May 2016, driving across a remote stretch of southwestern Pakistan, when he called his brother and relatives to prepare them for his death. It is rare for a Taliban commander to sit for an interview, but this one spoke on the condition that his name or location not be made public, because he had recently defected from the insurgents’ ranks and his life was under threat. His account offered previously unreported insights into the final hours of Mullah Mansour’s life, and why and how he was killed, revealing a dangerously widening rift with his Pakistani sponsors. Mullah Mansour had been intent on expanding his sources of support as he prepared an ambitious offensive across eight provinces in Afghanistan last year, they said. He relied on Pakistan’s Intelligence Service and donors from Arab gulf states, as well as Afghan drug lords, for the main financing of the Taliban, but he was also seeking weapons and other support from Iran, and even Russia. He met officials from both countries on his last visit to Iran. Mullah Mansour’s outreach to Iran was also aimed at getting the Taliban out from under Pakistan’s thumb, according to his former associate and Afghan officials, so he could maneuver to run the war, but also negotiate peace, on his own terms. That was where his differences with Pakistan had grown sharpest. While on his way to Iran, Mullah Mansour had stopped in the Girdi Jungle refugee camp, a hub of Taliban activity in Pakistan, where he called on Taliban commanders and elders to gather for a meeting. The trip to and from Iran was one he had taken before. He always traveled on a Pakistani passport, under a fake name, with the full knowledge of Pakistani intelligence. For many in the Taliban, Mullah Mansour’s death represented a devastating betrayal by their longtime patron and sponsor, Pakistan, that has split and demoralized the ranks. About two dozen senior commanders from Mullah Mansour’s Pashtun tribe have defected to the Afghan government or moved into Afghanistan in fear of further retribution from Pakistan. The Taliban commander compared the strike with Pakistan’s detention of senior Taliban commanders who dared to reach out to the Kabul government, like Mullah Abdul Ghani Baradar, who was detained in a joint United States-Pakistani raid in 2010. American officials welcomed his detention but later it emerged that he had been supporting peace overtures with Kabul. The strike against Mullah Mansour was the first time a top Afghan Taliban leader had been killed inside Pakistan, which has provided a sanctuary for Taliban leaders throughout their 16-year insurgency against Afghanistan. At the time, President Barack Obama and other American officials and diplomats expressed satisfaction. According to ex-Iranian president Rafsanjani in 1980s when Gen. Zia was the president of Pakistan, the Pakistani government "sold" complete parts for 500 centrifuges and designs for P1 and P2 model. Rafsanjani who now sits on the executive council of Iran claims that while Iranian president, he personally travelled to Pakistan when Zia was alive and president, to complete the nuclear "deal." In 1977 when I was in Tehran working for PIA, Bhutto was in Iran as well. It is now known that Bhutto was on his mission to seek funding for his nuclear program, having already received funding from Qaddafi. Shah refused to pony up a penny because Shah hated Qaddafi (he refused to come in for Islamic Conference in Lahore because Qaddafi was invited there before he was). It is Shah's refusal to pay up that pissed Bhutto off. Iran an still continued to give Pakistan oil and gas at charity pricing, but Bhutto cooled off with Iran. Shams: "Rafsanjani who now sits on the executive council of Iran claims that while Iranian president, he personally travelled to Pakistan when Zia was alive and president, to complete the nuclear "deal."" Rafsanjani "now sits on the executive council of Iran"? Really? Isn't he dead already? There are no permanent friends only permanent interests. Up to Dh1.5 billion worth of sustainable development projects have been financed in Pakistan by the Abu Dhabi Fund for Development (ADFD), a new country report said on Monday. To date, the ADFD, a national entity for development aid, has supported Pakistan with grants and concessionary loans on behalf of the Abu Dhabi government, valued at Dh1.5 billion across nine sustainable development projects. The ADFD’s country report issued to mark Pakistan’s Independence Day on August 14, highlighted that the nine development projects have significantly contributed to improving socioeconomic conditions in the country. The projects spanned diverse sectors, most notably transport, water and agriculture, healthcare. Mohammad Saif Al Suwaidi, Director-General of ADFD, said ADFD’s role in financing these sustainable development projects across Pakistan underscores the fraternal relations and strong bilateral ties that the UAE and Pakistan share. Al Suwaidi added that ADFD believes in assisting beneficiary governments in achieving their economic, sustainable and development schemes and goals. “We are pleased that our support to the Pakistani government has elevated living standards and boosted strategic growth in that country,” he said. Some of the notable projects funded by ADFD in Pakistan include the Dh227 million construction of the UAE-Pakistani Friendship Road, which has helped link the southern and northern areas of the Waziristan region. The 72-km road serves three major cities and 20 villages and facilitates the movement of people and goods. In the health sector, ADFD administered an estimated Dh107 million Abu Dhabi government grant to develop two healthcare projects in Pakistan. In 2013, ADFD provided Dh94 million to construct the Emirates Hospital — an integrated speciality medical centre equipped with 1,000 beds. Furthermore, in 2006, ADFD allocated Dh13 million to fit out the Shaikh Zayed Hospital in Lahore with modern and internationally standardised equipment. ADFD’s contributions in the education sector include a Dh46 million grant earmarked for training colleges. This project led to the construction of three training colleges for individuals living in remote areas. These include Warsak College in the Khyber Pakhtunkhwa province, and Wana College and Spinkai Cadet College — both located in South Waziristan. ADFD also allocated Dh7 million to fund expansion works at the Shaikh Zayed International Academy (SZIA). In order to ensure an adequate and reliable power supply, ADFD provided a Dh66 million loan to rehabilitate the Tarbela Dam in 1981. ADFD and the Government of Pakistan have enjoyed strong and long-standing ties dating back to 1981. The synergies between the two sides continue to drive sustainable socioeconomic development across key sectors that benefit the citizens of Pakistan. The Islamic Development Bank (IDB) has selected three of Pakistan’s hydropower projects as examples for its report about successful financial projects of the multilateral development financing institution. The three projects – Khan Khwar, Allai Khwar and Duber Khwar – are currently owned and operated by the Pakistan Water and Power Development Authority (Wapda) and were constructed with help from the IDB. The report will be finalised and presented during the 42nd Annual Meeting of the IDB Board of Governors to be held in Jeddah, Saudi Arabia on May 17 and 18 for showcasing the organisation’s successful contributions. The IDB provided financial assistance to the tune of $150.2 million for the construction of the Khwar Projects in Pakistan. This financial assistance included $38.435 million for Allai Khwar, $30.805 million for Khan Khwar and $80.96 million for Duber Khwar. With UAE’s regional hub off-limits, direct trade routes are opening between Doha and Karachi to boost economic ties. Doha, Qatar - A Qatari shipping company is set to launch what it calls the fastest direct service between Doha and the Pakistani port city of Karachi this week, as the Gulf state seeks to establish new trade routes amid a land, air and sea blockade from its Arab neighbours. State-run conglomerate Milaha is overseeing the weekly venture, with the first vessel due to arrive at the newly-inaugurated Hamad Port outside the Qatari capital on September 11 following a transit time of four days - compared to a normally six-to-seven-day journey. "We have been vigorously ramping up our operations between Qatar and key Asian markets in response to growing demand from traders, importers, and exporters on both sides," said Abdulrahman Essa Al-Mannai, Milaha president and chief executive officer, in a statement ahead of the launch. The move comes as Qatar counters economic sanctions imposed by Saudi Arabia, the United Arab Emirates (UAE), Bahrain and Egypt three months ago. The four Arab nations severed all diplomatic and trade ties with Qatar on June 5 over allegations of supporting "terrorism". Qatar strongly denies the claims. Prior to the dispute, most of Doha's shipments to and from Pakistan docked at Dubai's Jebel Ali port - a regional hub. But with the Emirati port now out of bounds as a trans-shipment centre, Qatari companies are increasingly exploring alternative links to effectively penetrate the Asian market. Besides the direct route, Qatar and Pakistan are also trading via Oman's Sohar port. "We used to trade via Jebel Ali in Dubai, but because of the restrictions and the ongoing Gulf situation, we are now going direct so Qatar can capture Pakistan's market," Babar Rauf, sales and marketing manager of Rahmat Shipping, Milaha's Pakistani agent, told Al Jazeera. Earlier in August, Qatar Ports Management Company, Mwani, also kickstarted its direct shipping line between Doha and Karachi operated by the Asian firm Wan Hai. Milaha's new service, called PQX, will mainly bring perishable products and other food items, such as seafood, fruits and vegetables, from Pakistan. ISLAMABAD: Pakistan and Saudi Arabia have agreed to enhance bilateral cooperation in a number of different fields. The two sides signed and exchanged documents of protocol at the end of the two-day long 11th Saudi-Pakistan Joint Ministerial Commission (JMC) meeting in Islamabad on Wednesday. In the closing session, Pakistan’s Minister of Commerce Pervaiz Malik invited Saudi Arabia to invest in renewable energy projects, and in the agriculture, oil exploration and livestock sectors. “The launching of Vision 2030 in the Kingdom will surely usher in the creation of hundreds of thousands of new jobs in the construction and services sectors … I would like my Saudi brothers to increase the quota of jobs for Pakistani workers in those sectors,” said Malik. He also suggested the Saudi government could establish a “Saudi-specific training sector” in Pakistan to teach the particular skills needed for the Saudi job market. The 34-member Saudi delegation included participants from 20 different government entities, the chamber of commerce, and the private sector. “We are really keen to identify opportunities, we really need to work to establish a long strategic relationship,” Al-Qassabi said. The minister also announced that Riyadh will host the Saudi-Pakistan Business Forum in the second half of this year. “Hopefully that will be the launching pad for new business and investment relations between the two countries,” he said. Saudi Arabia joined Turkey and China in a move to block a U.S.-led attempt this week to place Pakistan on an international terror-financing watch list, according to officials involved in the process, in a rare disagreement between Riyadh and the Trump administration. Saudi Arabia’s move on behalf of Pakistan came just days after Islamabad said it would send more than 1,000 troops to the Gulf kingdom, which has expanded its military posture in the region since its 2015 intervention in Yemen’s civil war. A U.S. effort to reverse the decision on the watch list was under way Wednesday at a meeting in Paris of the Financial Action Task Force, a secretive international body that monitors countries’ efforts to fight terror financing and money-laundering, according to the officials involved in the process. The officials said the U.S. effort, which included pressure on the Saudis, raised the possibility of a fresh vote on action against Pakistan as soon as Thursday. The Pakistanis were scrambling to shore up support. The Trump administration, angry with what it sees as inadequate efforts by Islamabad to combat terror groups, has sought to ratchet up pressure on Pakistan. Last month it said it was withholding $2 billion in security aid until it sees much stronger action against militants. U.S. officials also accuse Pakistan’s military of supporting some jihadist groups as proxies against neighboring India and Afghanistan. Pakistan denies those accusations and says there are no terrorist sanctuaries within its territory. Saudi Arabia is a close U.S. ally, with its crown prince, Mohammed bin Salman, forming a personal bond with the family of President Donald Trump. It was Saudi Arabia’s surprise backing that secured the necessary opposing votes to block the U.S. If U.S. lobbying is successful and the task force does end up adding Pakistan to its list of countries deemed “high risk” for doing too little to curb terror financing, banks, other lenders and international companies seeking to do business with the South Asian country could rethink financial ties, putting a damper on its already struggling economy. The U.S. was supported in its effort to put Pakistan on the watch list by the U.K., France, Germany and other countries. The proposal was initiated at a working group, which is responsible for making recommendations to the 35 member nations and two regional groups that make up the FATF plenary. The meeting continues through Friday. Pakistan was supported by China and Turkey heading into the FATF working-group meeting earlier this week. Turkey and the U.S. are allies as members of the North Atlantic Treaty Organization, though they are at odds with one another over actions in Syria. The Trump administration has sought to work with Beijing to constrain North Korea’s nuclear-weapons program, but China has allied with Pakistan as a foil against India, where long-simmering tensions over the border have pitted Delhi and Islamabad against one another. Pakistan had lobbied FATF member countries to keep it off the watch list. It also took last-minute action against Pakistan-based militant group Jamaat-ud-Dawa, complying with 10-year-old United Nations sanctions against the group, which the international community holds responsible for the 2008 Mumbai attack that killed 166 people. Prince Turki Al-Faisal, the former head of the General Intelligence Directorate, Saudi Arabia’s main intelligence agency, once described the relationship between Saudi Arabia and Pakistan as ‘probably one of the closest relationships in the world between any two countries without any official treaty’. Prince Turki himself was at the helm of Saudi decision-making for over three decades and oversaw the close cooperation between the two countries during the Soviet invasion of Afghanistan, the first Gulf War, the Afghanistan campaign, and in post-9/11 defence diplomacy. There were difficulties in the relationship. The Pakistani parliament’s opposition to Islamabad’s military involvement in the Saudi-led coalition in the ongoing war in Yemen sparked controversy and questions about the essence of the strategic relations between the two countries. However, Pakistan’s decision not to join their Saudi allies in that war was largely due to domestic preoccupations; these include fighting Al-Qa’ida and the Taliban and dealing with rebels from the country’s southwestern Baluchistan region. These issues have left Pakistan domestically exhausted and have influenced Islamabad’s decision to stay out of the Yemeni conflict so as to avoid opening up an additional front with Iran, the Houthi’s powerful external patron and source of resources, which could contribute even further to instability inside Pakistan. Yet despite Pakistan’s neutrality in the Yemen crisis, Saudi-Pakistan relations remain strong and largely unaffected; Pakistan participated in exercise North Thunder, which took place in northern Saudi Arabia, along with 20 other Arab and Muslim countries in March 2016, and General Raheel Sharif, the former Chief of Army Staff of the Pakistan Army, was appointed as the Commander-in-Chief of the Islamic Military Alliance to Fight Terrorism. Still, the relationship between Saudi Arabia and Pakistan has often been seen over the years as being rooted in the personal relationships between Saudi kings and Pakistani prime ministers, rather than the formal institutions of the two countries. For a long time, the relationship has been characterised by an exchange of capital flows from Saudi investors of various sectors, in return for military cooperation. According to the last available statistics, the value of trade exchange from mid-2012 to mid-2013 reached $5 billion. Over the preceding decade (from 2002 to 2012) the value of trade exchange reached approximately $30.7 billion. Saudi Arabia’s motives for capital investment in Pakistan have not only been financial, for the Saudis have offered support in more difficult times, and without direct commercial interests. For example, when a devastating earthquake hit Baluchistan in 2005, Saudi Arabia supported Pakistan with $10 million in humanitarian aid. Moreover, when floods swept across Pakistan in 2010 and 2011, Saudi Arabia granted Pakistan $170 million for relief operations and reconstruction activities in the affected areas. In January 2018, Saudi Arabia and Pakistan pledged to strengthen their economic ties with a preferential trade agreement that would fit in with Crown Prince Mohammed bin Salman’s Vision 2030. This is seen as addressing the previously grey area of ties between two countries. where no one quite knew what was being signed and by whom. Iran is stepping up its involvement with political and militant Shiite groups in Pakistan, in what foreign affairs experts see as an escalating shadow proxy war with Saudi Arabia in a country with the world's second-largest Muslim population. “Iran is continuing to work to help rebel groups to form in the minority tribal region. There are Sindhi and Baluch separatist groups that Iran will help fund and support,” said retired Lt. Col Anthony Shaffer, an intelligence specialist who currently serves as senior fellow at the Center for Advanced Defense Studies at the London Center. Shaffer and others believe Iranians have long funded an array of insurgent outfits in Pakistan, in part as a means to destabilize U.S. efforts in the region. One of those groups, the Tahrik-e-Jafaria Pakistan (TJP), freely acknowledges its ties to Iran, but denies accusations it engages in violence. “We are alleged to be a militant group, but I refute this statement,” Deedar Ali, vice president of the TJP, in the country’s Gilgit Baltistan (GB) region, told Fox News. “We haven’t participated yet in militant activities, though we Shiites have the dominance in GB." TJP is officially considered a Shiite political party, founded around the same time as the Iranian revolution of 1979. It has twice been banned by the Pakistani government as a terrorist organization. The U.S.-based Terrorism Research and Analysis Consortium (TRAC) defines the TJP as a group focused on creating a society based on “pure Islam,” and both a protector and a propaganda distributor of Shiite ideas. So just how devoted to the Iranian brand of Islamism is TJP? TJP leaders also frequently visit Tehran, but claim they receive no direct funds from the Iranians. The State Department’s most recent Country Reports on Terrorism, released last July, names Iran the world’s “foremost” state sponsor of terrorism, a distinction it has held for decades. Most notably, the U.S. accuses Tehran of using the Quds Force, an elite unit of the Iranian Revolutionary Guard Corps (IRGC) as a cover for intelligence operations and destabilization across the region. According to several U.S. intelligence and diplomatic officials, the Trump administration is more concerned about Iranian influence in war-torn, neighboring Afghanistan than it is about the activities of other insurgent groups in Pakistan.